In nature, you cannot do just one thing, as Walter Youngquist puts it, because everything is connected to everything else. That’s why you can’t fish for Atlantic menhaden without impacting the ocean ecosystem and why the Atlantic States Marine Fisheries Commission is on the verge of amending its fishing rules for what many call “the most important fish in the sea”, because of its vital role as prey for so many predators – larger fish, birds and marine mammals – up and down the east coast. The 15-state Commission is holding hearings and taking written comments through October 20th on Amendment 3 to the Interstate Fishery Management Plan for Atlantic Menhaden. The focal point of the amendment, as far as conservationists and the majority of east coast fishermen are concerned, is setting new, precautionary standards, known as “ecological reference points”, designed to leave enough menhaden in the water for dependent predators while allowing reasonable yields to the menhaden fisheries. Ecological reference points (ERPs) will protect the critical role of menhaden as forage by maintaining a larger population, which means more food in the water for dependent predators and more robust east coast fisheries, sport and commercial. Striped bass and osprey are just two of the many predators whose numbers are directly linked to the abundance of menhaden. A brand new study of ecological reference points for menhaden validates what anglers know full well – the health of the striper population is directly linked to the abundance of menhaden. Fewer menhaden in the water means fewer striped bass. The diets of many seabirds on the Atlantic coast are predominantly menhaden, according to the Audubon Society. 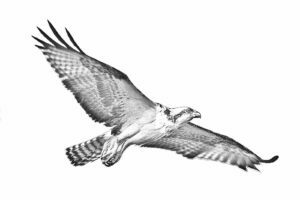 For the osprey, for example, menhaden make up 75-100% of their diet, depending on the time of year. Wild Oceans is supporting ERP Option E – “The 75% Solution” – because it’s the best available science and it’s ready to be implemented in 2018. We have been advocating for the “75% Solution” since June 2009, when, after reviewing the scientific literature, we submitted a white paper recommending a target population of 75% of an un-fished population and an overfished threshold of BMSY, approximately 40% of un-fished biomass. Subsequently, Smith et al and the Lenfest Ocean Program published peer reviewed papers by multiple co-authors, revealing an emerging consensus around the 75/40 ‘rule of thumb’ approach to conserving forage species. 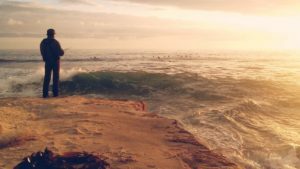 This consensus and the rationale behind it is discussed and referenced in depth in the landmark 2015 Wild Oceans report, Resource Sharing: The Berkeley Criterion. Now, eight years later, the 75/40 option is presented as Ecological Reference Point Option E in Draft Amendment 3 to the Interstate Menhaden Plan. It has strong backing within the scientific community and is ready to be implemented now, fairly balancing the needs of the ecosystem with those of the fisheries for menhaden and other species. If adopted, Option E reference points would stay in place while a team of ASMFC scientists works on multi-species models and evaluates their ability to suggest alternative ERPs more specific to menhaden. This work is slated to be completed by the end of 2019 – a timeline the researchers admit is “ambitious” – after which the results will be peer reviewed and then tested through what’s called a process called a Management Strategy Evaluation. If the ASMFC considers the models appropriate for meeting agreed-upon ecosystem objectives, they likely would not be implemented before the 2022 fishing season. The Commission has been talking about implementing an ecosystems approach to conserve menhaden for at least 15 years. Further delay is unnecessary and very risky. In fact, the strongest argument against delay is the prospect of the fishery being managed another 5 years or more using the current, single-species reference points, which could allow for a more than 40% increase over current catch levels, resulting in a loss of the growth in the menhaden stock we’ve seen in recent years. The Menhaden Constituency: These Are Your Fish – Own Them! The menhaden industry does not own the resource, it belongs to all of us. We enjoy the fisheries menhaden support, directly and indirectly, value the wildlife it sustains, and benefit socially and economically from a healthy and diverse ocean environment. The public pays the costs of management – from stock assessments and all the science that goes into them to fisheries regulation, monitoring and enforcement. The ASMFC has a responsibility to manage and conserve menhaden for the greatest benefit to the nation as a whole. Members of the public are encouraged to submit comments on Draft Amendment 3 during the public comment period, which is open now. Comments must be received by 5:00 PM (EST) on October 20, 2017. And check out this list of public hearing locations and dates to find one near you. Ken Hinman, president of Wild Oceans, has spent almost 40 years bringing fishermen and environmentalists together to protect the future of fishing.